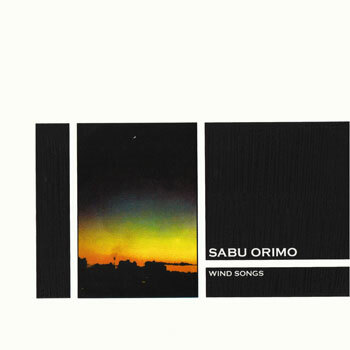 Following a number of small run releases (and an appearance on a recent volume of PSF 's Tokyo Flashback series) here's a vinyl only set of Sabu Orimo's solo shakuhachi work. Recorded by Orimo in 2007-2008 and played on unlacquered natural bamboo flutes. With an approach to his instrument described as "Japanese old stone age style" (or the somewhat misleading term 'noise shakuhachi') Orimo might be said to be working on the fringes (of the fringes) of Japan's broadly defined 'psychedelic' scene. That said one could ask if Siwa's motives here might not just be a case of trying to peddle 'the hated music' behind a veil of blatant exoticism. Yes that does mean that after a number of rock/folk moves we're dishing up some more exquisite 'improv'. And you deserve it. Heavy weight vinyl only edition of 299 in five color handpulled screen printed sleeves.